Energy supplierEDF Energy has agreed to pay a Â£4.5 million 'fine,' according to an article published by BBC News. The payment package has been imposed on EDF by industry regulator, Ofgem, following an investigation into the methods it used to sell energy to its customer; it is thought to be the biggest to payment of its kind to be implemented. As a result EDF will pay Â£50 into the accounts of 70,000 of what they describe as their "most vulnerable customers;" however, the energy supplier has denied that the payment package is a fine or penalty. Ofgem's investigation found that EDF breached some aspects of the license that governs the information provided during sales to customers. EDF were yesterday given a Consumer Focus rating of zero - the only one of the 'big six' energy suppliers to get such a rating - after it was found to be the most complained about supplier. 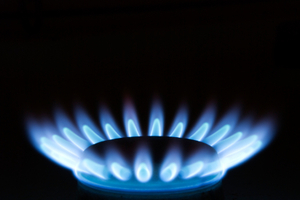 Martin Lawrence, from EDF Energy, commented on Ofgem's findings. He said: "We are obviously disappointed that we failed to live up to the high standards that we expect of ourselves. As soon as the issue was identified we immediately took action to satisfy ourselves that we are fully compliant. "We know that customers need to be able to trust the energy industry," he added.